Rayman Legends is no longer a Wii U exclusive. The artistic platformer has just been delayed from February into September of this year, and it's now launching for the Wii U, Xbox 360 and PlayStation 3 platforms. One has to imagine Nintendo collectively feels duped, disappointed and extremely frustrated. 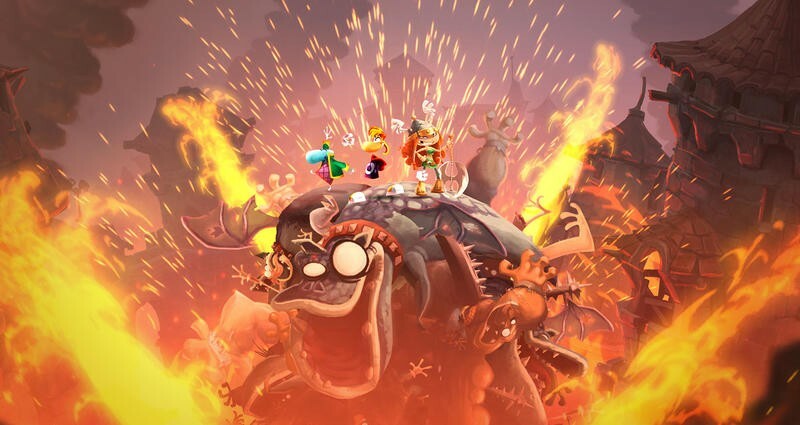 Rayman Legends, while not exactly a system seller, was one game that Nintendo could hang their figurative hat on at launch. Then it was delayed into early 2013. It was the big game coming to the Wii U, and now, well, it's anything but. Ubisoft, as you can read in the press release below, indicated that the delay and multiplatform announcement comes because fans voiced wanting Rayman Legends on more than just the Wii U. Honestly? Fans have been yelling that since the beginning. I assume Ubisoft saw that the Wii U wasn't exactly flying off store shelves and decided to release Rayman Legends onto consoles with much larger install bases. "We heard from many Xbox & Playstation owners and Rayman fans who told us they really wanted to play Rayman Legends on their current system", says Geoffroy Sardin, EMEA Chief Marketing & Sales Officer. "We decided to give the fans what they wanted while at the same time broadening the audience exposed to this innovative and memorable game." Rayman Legends retains the fantasy appeal of its predecessor while adding a multitude of clever and entertaining gaming modes, new characters, new environments and a new soundtrack. The award-winning team of artists, designers and composers from Origins has also returned with an advanced UbiArt engine to include multi-dimension gameplay elements, an improved lighting system and updated game rendering that elevate Rayman's graphics to the next level.